“I want to try text marketing. But, what do I text my customers?” We get this question a lot. So first, don’t think you’re in the minority. Most people understand the concept of text marketing. They respect the high open rate of SMS, and want to capitalize on this statistic. But when it comes to the nitty gritty details, it’s ok to be a little lost. 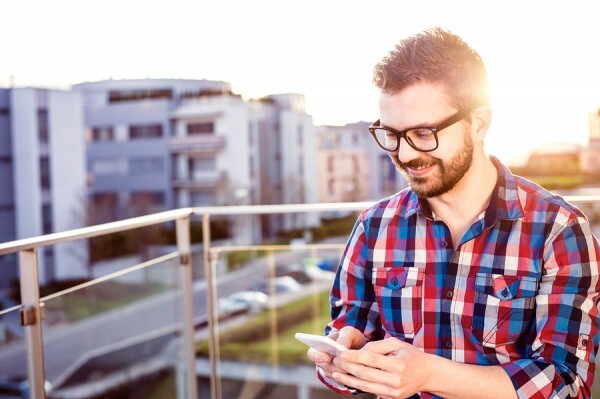 Follow these three basic rules for texting your SMS subscribers. 1. Fire out irresistible offers with a set expiration. No matter how great the offer is, if you don’t limit the period of redemption, you won’t get great results. You can’t send out an amazing deal, and then leave the redemption window wide open. People will have great intentions, don’t get us wrong. They’ll want to redeem your offers. But, life happens. With no sense of urgency, most will easily forget. Then you’ll be left questioning the value of your offer, when really it was just your lack of expiration. Example: Show this text to get $5 off your dinner entree at Mac’s Grill! Offer ends tonight at 9PM. 2. Provide customers with valuable, insider information. Hosting a VIP event? Invite your SMS subscribers. Having a secret flash sale? Make sure your list is the first to know. Want to take it one step further? Every time you run a promotion, give subscribers early access. For example, let’s say you own a thrift shop. Every Friday you do a $5 bag sale from 3-5PM. Let your SMS subscribers in one hour early. This will help you make the most of this promotion, and also reward customers for engaging with you via text. Make your SMS subscribers feel like members of a secret club. Fire out information that makes the opt in worthwhile. Example: Obsessed with Velma’s Friday Flash Sale? Show this text to get early access at 2PM! 3. Release important, time sensitive updates. Is your location closing for the holiday? Are you getting ready to do renovations? Whatever the case, keep your loyal customers in the loop. This will help build a trustworthy rapport. Put yourself in the shoes of a loyal customer. How would you feel if your favorite lunch spot closes for two weeks with no warning? You order the grilled cheese special every day, and now you’re totally lost. You’d be frustrated, right? Avoid this scenario by following the example below. Example: We will be closed for lunch and dinner from May 31 – June 8. We’re renovating our space to better serve you! Grow with a text marketing provider that genuinely cares about your success. Want to learn more? Give us a call at 1.800.688.6290 or shoot us an email at info@slicktext.com. Ready to get started? Well don’t let us hold you back! Head over to our pricing page, and at the very least, take our free plan for a spin. Remember, it’s free forever. No credit card required. No contracts, hidden fees, or financial commitments.